"As a test, I took the N7 off the charger (standard USB - thank you for that)"
I hope you mean microUSB, because standard USB would be a deal breaker. I've got several microUSB cables but no standard USB ones. Also, ¥19,800 isn't a third of ¥42,800, no matter how much you Republican the math. Yep, should have explicitly said it's micro USB of course. And I was thinking of the 32Gb model of the iPad; it's to the 16Gb version of the Nexus 7 what the 16Gb iPad is to the 8Gb N7. But yes, "one third" is a bit of hyperbole I agree. Little correction, you do not need a custom firmware to use tethering on a galaxy nexus with docomo (and a xi contract). But you do have to customize the stock ROM so that it won't change the APN to one that doesn't connect with a Xi SIM upon activating tethering. The ¥2000 Google Play credit is linked to a Nexus 7 serial number and a unique credit card number and Google wallet. In other words, after registering a new credit card number with Google Wallet on your Nexus 7, a special credit will be applied to the Google account that the Google Wallet is connected to. And purchase less than or equal to the remaining credit will be deducted from the "credit fund." Any app/book/movie more expensive than the remaining credit will be charged to the credit card(s) linked to the Wallet service. This means that once you've registered to receive the credit, you can use that credit with any Google Play system (desktop or other phone) connected to that account/service. However, reusing a credit card already used won't give you the credit. So if you buy three Nexus 7s (like I did), make sure you have three credit card numbers that have never been registered before by anybody on Google Wallet in order to receive all of the credit. It seems that it didn't need to be an unused card, but you do need unique cards for each N7. Doesn't matter though since the offer ended last month. When I got my DoCoMo Galaxy Nexus, tethering was disabled on it. I had to flash the stock Google ROM on to it to get tethering to work. The GN is meant for their 3G plans after all, not Xi. I have heard that a a later update since has partially or completely reenabled tethering functionality on the DoCoMo version, but as I don't know if it would actually work the way I use it or not I thought it better to mention that. I am always open for learning something new, so please, could you elaborate on why I would need to make sure that the APN does not change when tethering. I have used my GN with xi from the beginning, and never had an issue with tethering. Speed is fine and there are no extraordinary high costs (read: no additional costs). As Jan said above, updates may have fixed this, but the original ROM and baseband for the sc-04d would not tether with Xi. Thank you. Very useful review. I was waiting for the Kindle Paperwhite to become available here but what you say about battery usage for the Nexus 7 really makes me think again. Just be aware that it depends a lot on your usage. Just reading — especially at night when you pull down the screen brightness — doesn't take much battery, but if you read long stretches at a time the accumulated drain can still be substantial. In my case here I do perhaps twenty or thirty minutes at a time or something like it. 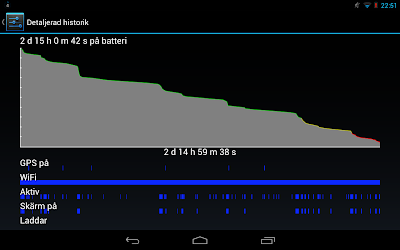 I've yet to try spending, say, two or three hours at once reading a book and see how the battery fares. Thanks. I'll guess I'll need both. I want the Kindle Paperwhite mostly to take advantage of the dictionnary function and read more Japanese. Nice! Although it is a bit disappointing that it doesn't ship right away. Any idea if you can us US Amazon accounts on it? This item will be released on November 19, 2012. Limit three per customer.Ships from and sold by Amazon.co.jp. No idea. Some people asked a similar question on the support forum but probably we have to wait a bit to see how it goes. Amazon will open the Japanese kindle store tomorrow - but I do hope they do not tie the device exclusively to the Japanese store. Thanks for the news. I had not received the announcement. I'm guessing that you will need to use either a US Amazon account or a Japanese Amazon account since the two sites require separate logins. Which is really a let down since I would love to be able to have both Japanese and English Kindle books on my device. How is that possible? My regular locked Xperia Arc had tethering available in the settings. It's a 3G device that was released before the first Xi phones were. Because the sc-04d was released without tethering. It came with the update to 4.0.4. 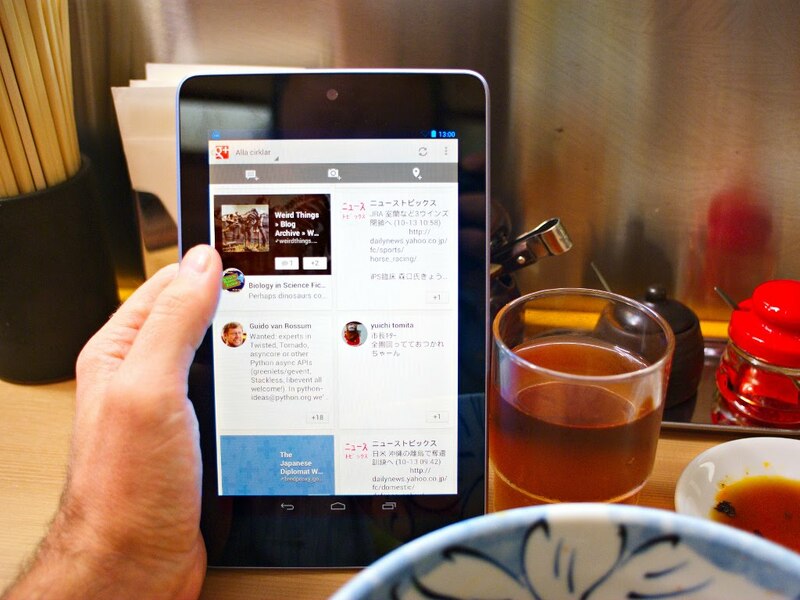 How do you feel now that the iPad mini has been revealed and the 32GB Nexus 7 is *ridiculously* expensive in Japan? A complete waste of money now. Not announced yet for the J market but probably be sub 30,000 yen with a mobile data UMTS antenna (not LTE unfortunately) and unlocked (unlike the iPads sold in Japan when a MCC 440 SIM is inserted). That's the best deal for a mobile-capable tablet I've ever seen. 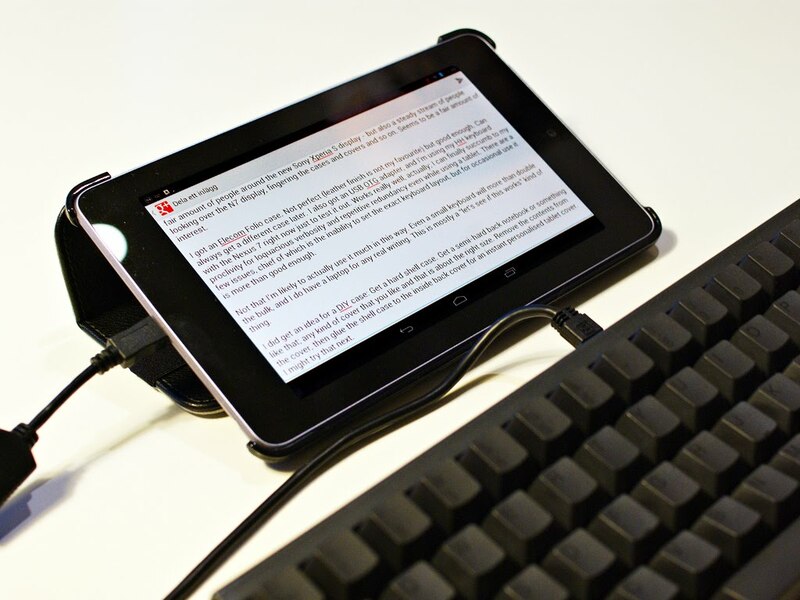 The 32GB Nexus 7 has been announced, but I doubt they'll release the 3G version here... If they do, I hope the price is reasonable. ¥24,800 for the Nexus vs ¥27,800 for the iPad mini... It's gonna be a toss-up, I feel. Apple will still sell ton's of iPad Mini's but the Nexus 7 really has a better screen. I doubt it. Bought Nexus 7 a few weeks ago. The screen looks sh*tty. I know some of the first batches had issues but the one my wife has looks great. I was just looking at some photo of my trip to Spain last night and they looked fantastic. The iPad Mini has a much lower resolution screen.